Making websites for restaurants is my favorite. I simply love food who doesn't. Matthew's Garden Cafe is located in Pacific Palisades. It is a hidden gem surrounded by beautiful floral decorations. I wanted the website to represent that theme inside the restaurant. 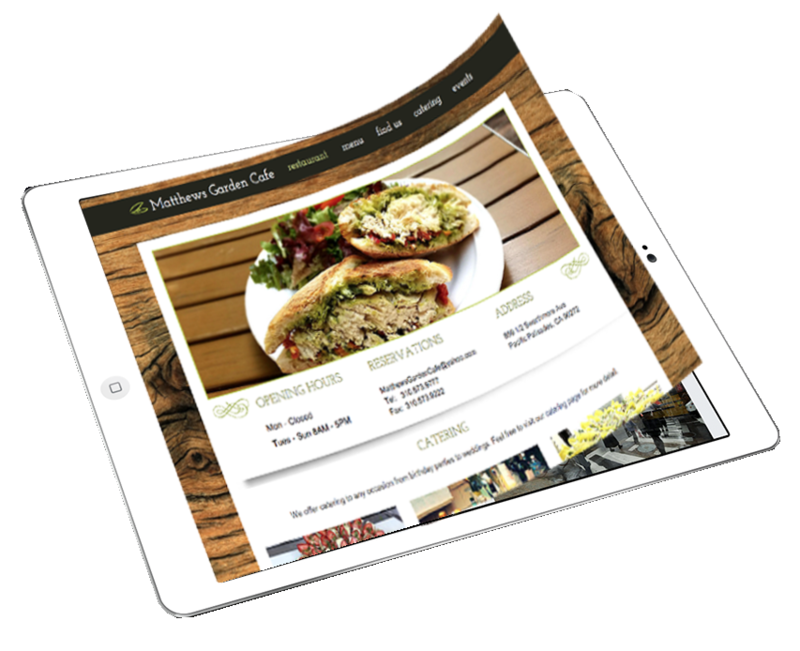 Most people that go on restaurant websites usually seek info such as hours they are open, location, or menu. I added all three of those on the home page for easy accessibility. There are mouthwatering images of their food on the home page. Under the slideshow there is the hours and location followed by reservations. I added a wooden background to give them that cafe theme.